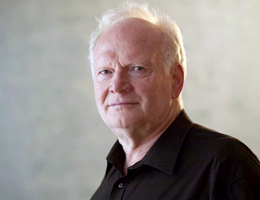 The highly influential sociologist Professor Ulrich Beck, who was a member of the Faculty of Sociology at LMU from 1992 until his retirement in 2009, died on 1 January 2015 at the age of 70. With the death of Professor Ulrich Beck, one of the most influential voices in contemporary sociology has been silenced, and LMU’s academic community – in particular, the Faculty of Sociology – has lost a dedicated teacher and a highly respected colleague. Ulrich Beck’s many contributions to sociology have had a huge impact not only on the discipline as a whole, but also on public debates on the nature of modern societies, and his truly cosmopolitan outlook made him one of the most widely read and frequently cited of internationally known sociologists. He is perhaps best known to a wider public as the author of “Risk Society: Towards a New Modernity”, which appeared in German in 1986 and has since been translated into 35 languages. Beck was born in Stolp in 1944. He studied in Freiburg and Munich, obtaining his doctoral degree at LMU in 1972 and completing his Habilitation there in 1979. He went on to hold professorships at the universities in Münster and Bamberg before returning to LMU in 1992. From 1999 until 2009, he served as Coordinator of the Collaborative Research Center on “Reflexive Modernization” at LMU, a venture that he had himself initiated, which was funded by the German Research Foundation (DFG). Beck continued to actively pursue his interests in research with great success after his retirement, as witnessed by the fact that the European Research Council awarded one of its generously endowed Advanced Investigator Grants to him in 2012. True to his characteristically wide-ranging perspective, Beck and an international team of collaborators intended to use a novel comparative approach, referred to as “Methodological Cosmopolitanism”, to study the sociological background to responses to global warming.